These are the crew vans with the lowest insurance groups under the 1-20 rating system. We’ve also stuck with medium-sized models based on popular panel vans and avoided the smallest, car-derived models, as buyers are typically looking for the maximum amount of seats and space. As the name suggests, crew vans are the ideal form of transport if you’re in the business of moving payloads and people at the same time. Generally these vans have as much space inside as their panel van equivalents, except they’re decked out with seats. If you want a medium-sized crew van in the absolute lowest insurance group then the Citroen Dispatch is your answer, as it starts in group 3E. 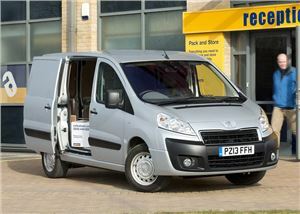 That applies to the 125PS 2.0-litre HDi L2 H1 1200 crew van version, which is no bad thing, because the 2.0-litre diesel unit is impressively refined for a van, while there’s a generous amount of standard equipment. 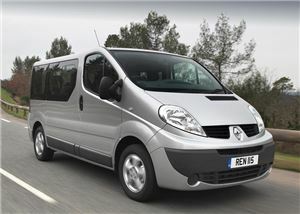 The Renault Trafic is second cheapest medium-sized crew van to insure, with a starting group of 4E. However, that particular group applies to older, Euro four spec models, with the 115PS 2.0-litre dCi diesel engine, while newer, cleaner versions sit in higher groups. Vans fitted with Renault’s semi-automatic Qucikshift6 transmission are available in group 4E though, as are the entry-level and Sport trim levels. Given that it’s essentially identical to the Renault Trafic, it’s no surprise that Vauxhall’s Vivaro starts in the same insurance group of 4E. As with the Renault, you’re also looking older, Euro4-spec models if you want the very lowest insurance group, and you’re limited to short-wheelbase, standard roof variants. You can have either the 90PS or the 115PS versions of the 2.0-litre CDTi diesel engine, though, as well as a manual or the Techshift semi-automatic transmission. The previous version of Britain’s best-selling van also happens to be very reasonable to insure, as it kicks off in group 5E. 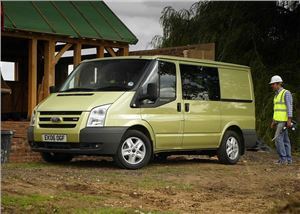 The Transit is known for its vast range, and even crew vans of this generation in the lowest insurance group can be had with the 2.2-litre TDCi engine in two power outputs (85PS and 115PS), low and medium roofs and short and long wheelbases. You can pick one up more or less anywhere, too. It may be essentially the same as the van with the lowest insurance group in our list – the Citroen Dispatch – but the crew van version of Toyota’s Proace starts in group 5E, which is still low. That gets you the L2 H1 1200 model, with a 2.0-litre 128PS diesel engine. Like its Citroen brethren – and the also identical Peugeot Expert – it’s well equipped, refined and has a good driving position. Volkswagen really knows its stuff when it comes to passenger vans – after all, the air-cooled campers of old were more famous than their panel van equivalents. 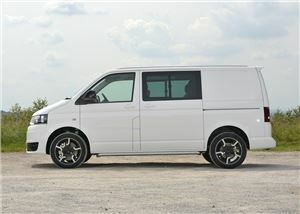 The previous generation Transporter, the T5, kicks off in group 6E if it’s a crew van version you’re after, which gets you a short-wheelbase, 84PS 2.0-litre TDI model with a standard or medium roof in entry-level, Trendline or Highline trims. 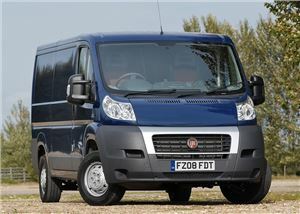 The crew cab version of Fiat’s Ducato starts in insurance group 7E, which applies to the long-wheelbase model with a 120PS 2.3-litre Mulitjet diesel engine in L3 H1 guise. That’s no bad thing, as the 2.3-litre unit is more powerful and efficient than the older 2.2, while it’s also possible to get dropside and platform options with the Ducato crew cab, without leaving insurance group 7E. 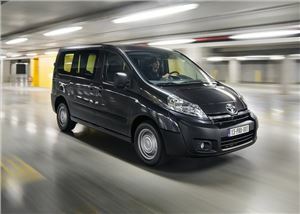 Peugeot’s version of the Citroen Dispatch and the Toyota Proace has the highest starting insurance group of the three, at 7E. That’s still low enough to make it onto our list though, and it gets you a 130PS 2.0-litre HDi model L2 H1 guise. The Expert of this generation was available with optional pneumatic rear suspension, which makes loading seriously easy, so keep an eye out for examples fitted with it. 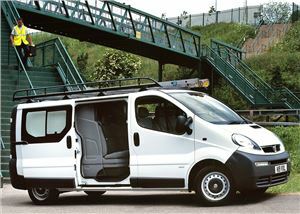 Arguably the best quality crew van on our list, the previous generation Mercedes Vito starts in insurance group 7A. 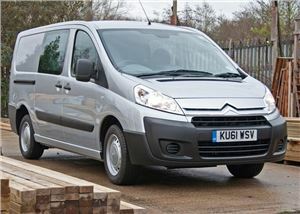 The CDI diesel engines are strong and it’s comfortable, well built and quiet throughout. The letter ‘A’ that succeeds the number eight means the Vito meets safety body Thatcham’s requirements for the class, while the ‘E’ suffix, displayed with most other models means they exceed the class standards, which is why the Merc finishes behind other group seven models. 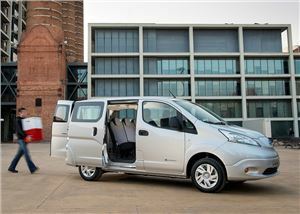 The larger NV400 and Primastar vans share their underpinnings with models from other manufacturers, but the NV200 is all Nissan’s own work. It’s much the better for it too, as the cabin is roomy, comfortable and practical, and there are five and seven-seat crew and combi versions available. Passenger models start off in insurance group 10E, which gets you a 1.5-litre dCi model with five seats and the S trim level.